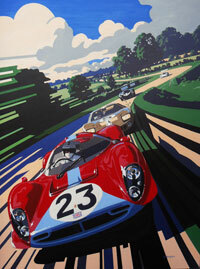 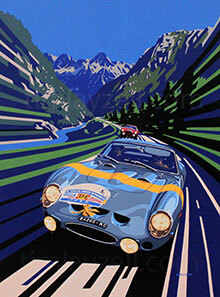 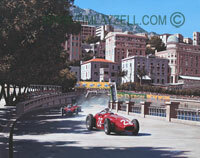 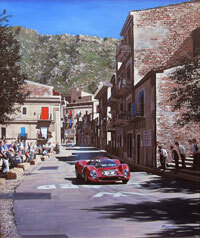 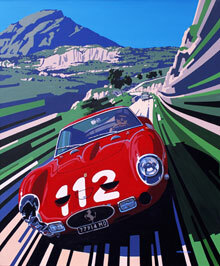 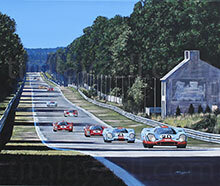 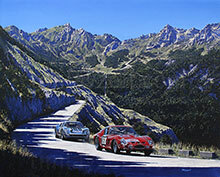 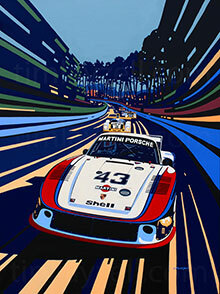 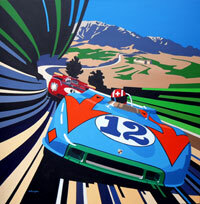 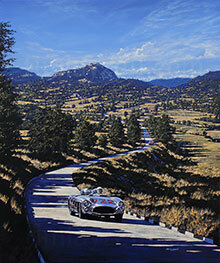 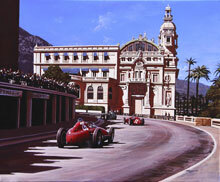 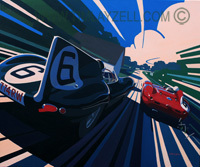 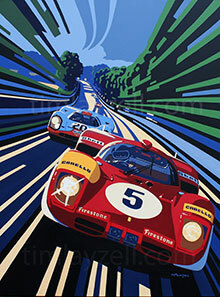 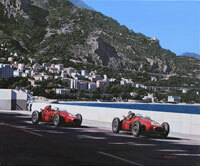 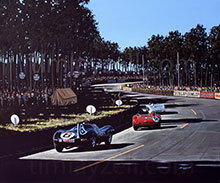 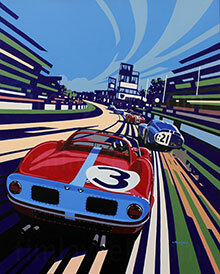 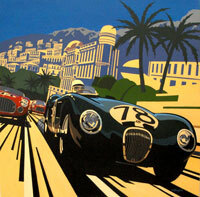 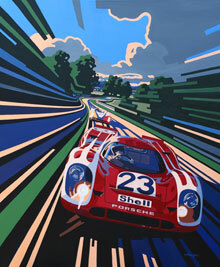 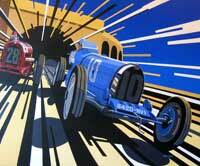 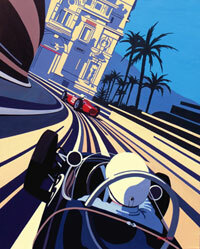 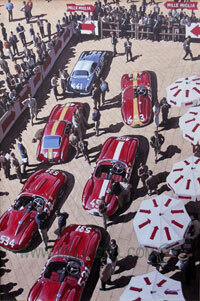 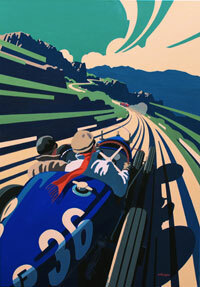 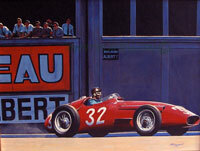 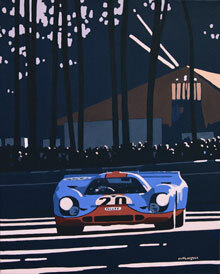 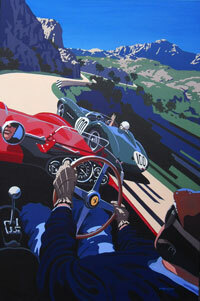 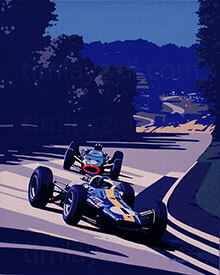 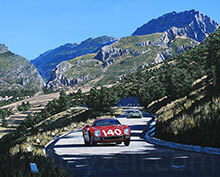 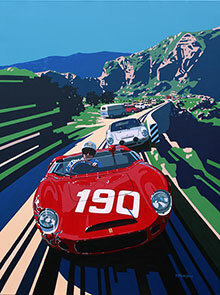 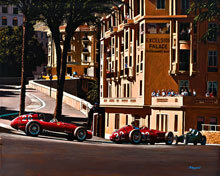 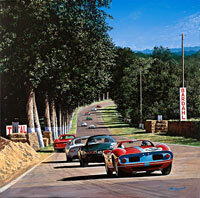 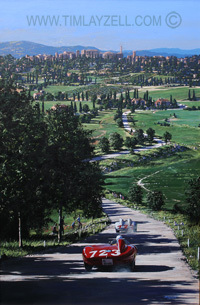 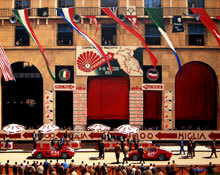 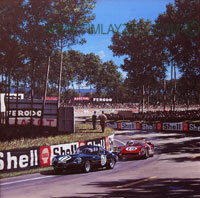 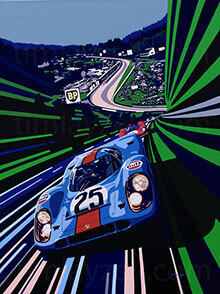 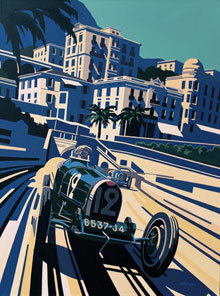 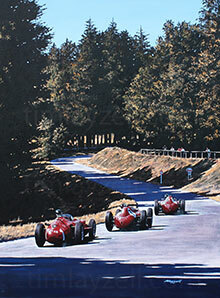 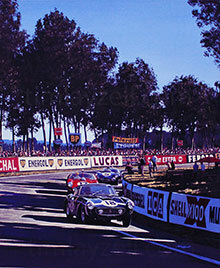 Tim specialises in bringing motoring and motor racing scenes to life on canvas. 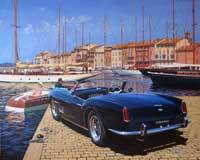 His favourite period runs from the 1920s to the late 1970s but he also paints more modern machinery. 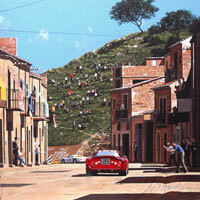 A large proportion of his work is painted to commission. 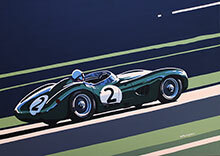 Subjects can vary from a vehicle owned by the customer in a present day scene or maybe a historical race, driver or vehicle which the customer has an particular interest in. 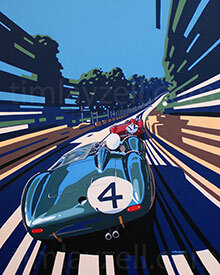 If you would like more information about commissioning an individual work, please go to the commissions page and feel free to contact Tim with any idea you may have. 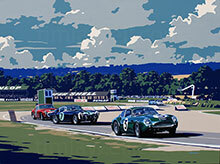 Sizes can be anything from a small 40cm x 30cm canvas up to a 2.5m x 2m canvas. 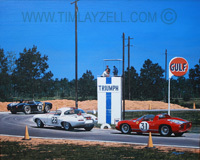 Tim usually has a range of original paintings available for sale. 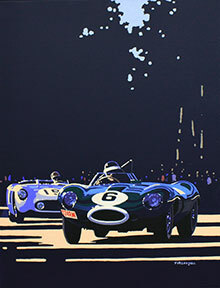 As a guide, prices for automotive originals range from small portraits 16” x 12” / 40cm x 30cm at around £2000, medium sized paintings 24" x 20"/61cm x 51cm from around £5000, 30”x 24”/ 76cm x 61cm from around £6000 and a large canvas 48” x 39” / 1.2m x 1m from around £8500.